For guaranteed tee times on Pebble Beach main course and Links at Spanish Bay hotel room call 831-372-5000 Reservations Agent. The Inn at Spanish Bay will get you on with a two night minimum stay. Golf packages can be booked as available provide incentives. For custom hotel reservations during your romantic getaway and family fun trip simply let a free local Carmel Area Reservation Service select the perfect room for your stay and take care of reservations for you. Save your valuable time and be assured of the perfect room and golf tee time. For a most idyllic stay, you will want to experience the oceanfront luxury resort known as The Inn at Spanish Bay, one of the renowned Pebble beach Resorts. Located at Asilomar Sate beach and Point Joe, so that ocean dunes and trees inspire the sweeping design and blend with natural colors at this contemporary resort. Bagpipers play at sunset beside a glowing outdoor firepit lounge with pub menu. Roy’s at Pebble Beach and Pepoli’s restaurants offer fine dining. There is tennis and pool, in room spa treatments to pamper you. Experience the essence of casual luxury at this spectacular resort! Plan a stay at The Inn o reserve tee times on Pebble Beach golf courses, as well at Links at Spanish Bay and Spyglass Course. The Inn’s guestrooms and suites come with king or two queen size superior beds, fireplaces and cozy furnishings, sit on your private balcony and luxury bath to indulge in a sense of retreat after an exhilarating day. Overstuffed sofas and chairs, quality linens and Italian marble and brass lighting sconces highlight the minimalist decor. Many of the rooms offer magnificent views of forest, fairways and sea. 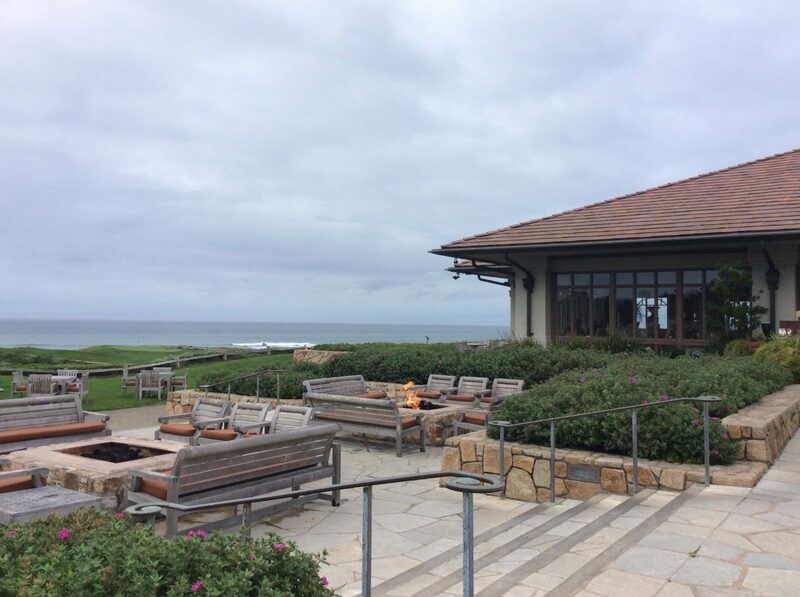 From golf groups and beachcombing to weddings and conferences Pebble Beach has something to offer individuals and large parties who wish for beauty, comfort and style and quality guests services and food and beverage. Catering menus will delight every palette and themed events limited only by your imagination. Plus you may use free local event planning service at 831-372-5000 to assist in making your perfect dream event come true! Whether a a tournament, conference, wedding or incentive travel receive assistance in an efficient and creative manner.